[ABOUT THE PANTS]: flat front, zip fly with button-and-hook closure, two front slant pockets, two back buttons. They also have an unfinished hem so you can tailor them to your exact measurements. 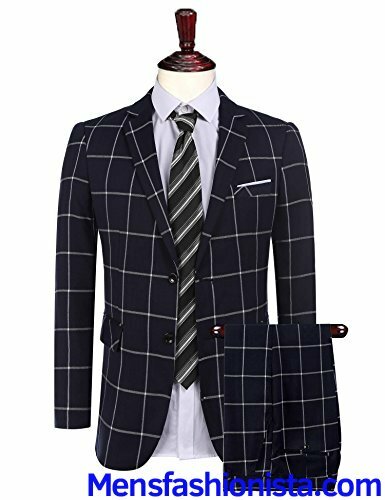 [VARIOUS OCCASIONS]: this suit set provides an easy choice for various occasions like business meeting, formal work, dating, party, interview, wedding, banquet, performance etc.